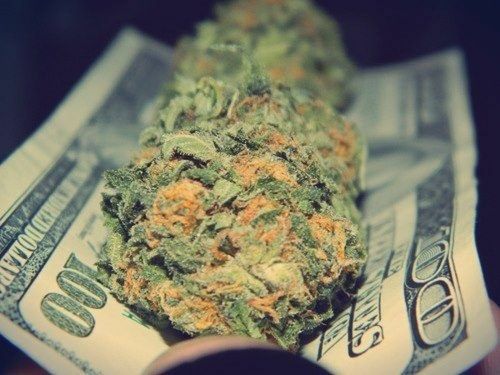 A groundbreaking new study has found that Americans spend a staggering $53.3 billion on both legal and illegal cannabis, with more growth projected. A groundbreaking new study has found that Americans spend a staggering $53.3 billion on both legal and illegal cannabis, with more growth projected as states around the country expand access to the substance in medicinal and recreational forms. The report was compiled by ArcView Market Research, a firm specializing in the study of cannabis business trends. In its report, ArcView found the illegal cannabis market comprised 87 percent – roughly $46 billion – of the cannabis sales to have taken place in 2016. The $6.9 billion in legal cannabis sales is likely to increase dramatically in the coming years, the report found: By 2021, the legal cannabis market is slated to balloon to around $21.6 billion. Much of the growth over the next several years may be attributed to successful legalization efforts of states around the country. Election Day 2016 was particularly effective in expanding access, with several states – including California and Massachusetts – voting to approval recreational cannabis legalization initiatives. The executive summary of the report was released to various news outlets ahead of its full release, scheduled for next month. According to ArcView’s CEO, Troy Dayton, the continued explosion of growth in the cannabis sector is less about invention and more about the transition: Because the market already exists – albeit often in an illegal fashion – the industry does not have to expend as much energy as one being created from nothing. In contrast to comparable markets with fast growth from zero to tens of billions in recent decades such as organic foods, home video, mobile, or the internet, the cannabis industry doesn’t need to create demand for a new product or innovation – it just needs to move demand for an already widely-popular product into legal channels. Another reason that Dayton believes the legal market will continue to grow at the expense of the illegal market is because it will offer a greater deal of choice to consumers. Alternative cannabis ingestion methods – such as edibles, tinctures, and drinks – have provided a wider array of options to many consumers who are looking beyond the more conventional methods of cannabis delivery. It’s one of the major reasons that people are going to leave the underground market to go to the aboveground market. It’s about variety… You just can’t get these products on the underground market. The ArcView report estimates that the legal cannabis market will increase will grow at an annual rate of 26 percent for the next four years. For some comparison, that level of growth is almost on par with the rise of broadband internet access from 2002 to 2007 (29 percent). The $21.6 billion figure that the legal cannabis industry is expected to generate by 2021 is all the more eye-popping when compared to the numbers of other industries: According to data published last year, the projected sales of legal cannabis in 2021 eclipse the combined 2015 sales figures of Subway ($11.5 billion) and Burger King ($9.5 billion).